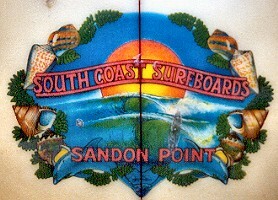 1974 South Coast Surfboards Bonzer 6 ft 8"
Round sticker on nose - ? First custom order by Ralph Riddell, circa 1973 The board was sold. Post production leg rope plug, right hand side. Extensive repairs to tail and rear rails, mainly with Q-cells. Some spray has been added. 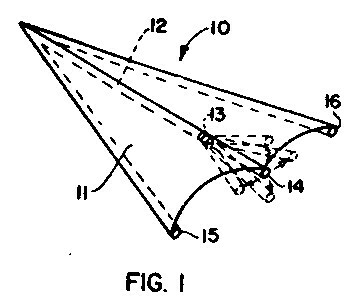 Original design 1973 by Duncan and Malcom Campbell (USA) characterized by forward concave leading to double concave each side of the centre fin with two keel- type fins set on the rails ( radically toed-in and cambered). 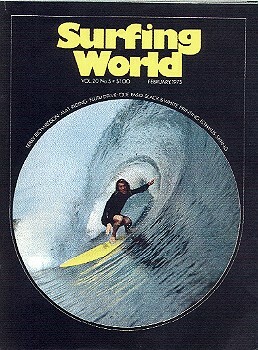 The Surfers Journal 2004? Volume 13 No. 2 pages?? Tracks, January 1976 page 25. Geoff Cater (2004 - 2015) : #180 South Coast Bonzer, 6ft 8'', 1974.